Just a few weeks ago in Central Ohio, we were melting into the sidewalk on 90 degree days and praying for Indian Summer. But now it really does seem as if the calendar and the weather have synched up. It’s November. The skies are leaden, fall color is gone and bare tree limbs click in the icy wind. And then we remember….Thanksgiving is early this year! And as active adults, its time to begin breaking those old holiday traditions, and breaking out new ones. This holiday is one of our favorites. Low stress, lots of great food, and casual togetherness with family and friends. While the "togetherness" piece may conflict with your “low stress” descriptor, pumpkin chiffon pie can do a lot to smooth things over. Around the holidays, empty nesters that have gone through the downsizing process may feel like they’re losing something more than a larger home. They’re losing the right to host family holidays. But our downsizing experts say au contraire. Treplus luxury apartment homes are perfect for hosting beautiful holiday celebrations. Whatever your family’s big day is, make the most of it with some excerpts from Treplus Communities’ guide book for active adult entertaining. Your Treplus senior apartment is brand new, and needs to be broken in. Your family will enjoy getting out of their own homes to come over and trash yours. Treplus luxury apartments are designed for active adult lifestyles, but young and old love the layouts. Our ranch style homes have open floor plans so everything feels more spacious. The little ones will love toddling (or running, sliding, skating, fill in the blank) across the wood laminate floors; no bumps or stairs to impede the dark force of their movement. Just implement a “leave shoes at the door” rule if the day turns out rainy, snowy, sleety or muddy. There’s a good chance one or all of those conditions will exist on turkey day in Central Ohio. Our kitchen/living areas are perfect for entertaining. Treplus senior apartments are designed for relaxed, casual living, and it’s easy to guide dinner’s progress in the kitchen while conversing with guests. Sight lines from the kitchen will also enable you to spot your grandchildren dressing up the dog in that Tom Turkey outfit he loves so much, or feeding the cat caviar and crackers. All of the “Commons” senior apartments by Treplus have decked-out community spaces with comfortable furniture, fully furnished bar areas and personal liquor lockers for each resident. Each has a big screen television and Wi-Fi. Your family will love having pre-dinner cocktails or watching the game in the Commons’ community room. If it’s a nice day, gather around the fire pit for some conversation and hot toddies. And for the day after, the Commons buildings have great workout rooms to burn off those extra helpings of mashed potatoes and gravy. It seems as if there are a million suggestions directed at empty-nesters on how to make it through the holidays after the last of their brood flies the coop. But there are just as many ways to spend the season in togetherness. Just maybe not in the same way as we did in the pre-downsizing days. Focusing on what the holidays really mean, and adapting to the new normal adds excitement to the coming days. And the “new normal” certainly doesn’t rule out throwing a holiday in your new senior apartment, condo rental or active adult community. Make Potluck the new rule and have everyone bring a different dish. In my family, it’s difficult to pry the Thanksgiving holiday away from my 90-year-old mother, but she’s always willing to accept hot and cold dishes brought from her kids’ kitchens. And we love letting her host and brown the rolls. Your friends and family will love being part of the feast, and they’ll be thrilled to hang out with you in your new gourmet kitchen. Reminder: your new Treplus home is no different than the family homestead at parties. Everyone will cram into the kitchen, guaranteed. When everyone brings a favorite appetizer, vegetable, side dish, salad or bread, the meal will come together in a snap! In the spirit of new traditions, have Aunt Helen forego the perennial lime Jell-O and mayonnaise salad in favor of a nice Gewürztraminer. 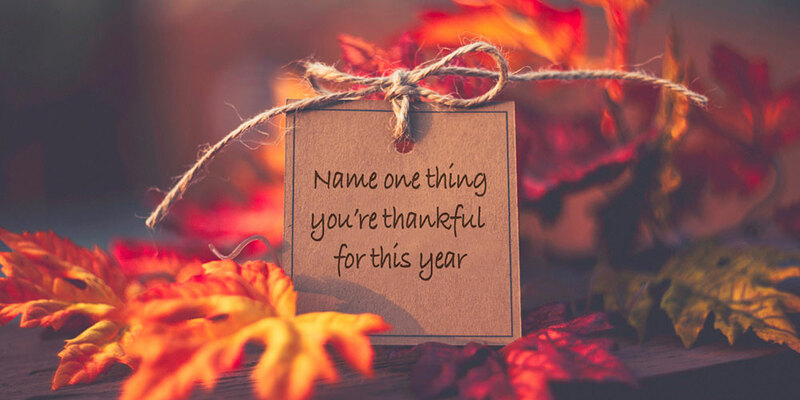 Your regulars will give thanks. Order the turkey in. This is not Thanksgiving blasphemy (or a Thanksgiving faux pas). This suggestion may not make it as a longstanding holiday tradition, because you’ll likely miss the wonderful aroma of the roasting bird too much. But oh, the time you’ll save—before, during and after the day. And the leftovers are just as good. The new modality of active adult living for the holidays is learning to let go. Try not to hold on to all of the old family traditions. Doing things differently and establishing new traditions can be fun and exciting. You will, we’re certain, find yourself spending the holidays you once hosted in the homes of your children and grandkids. Letting them host will make them feel happy and proud. Let them spoil you on the holidays! But it’s also guaranteed, at some point during the holidays, they’ll want to come spend time with you in your new digs! 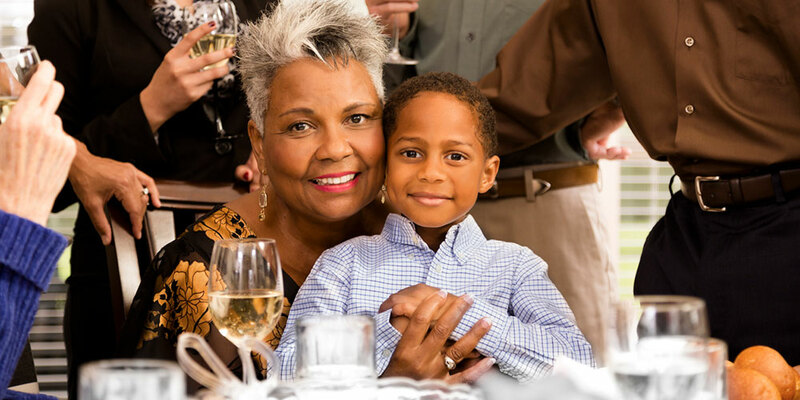 Treplus Communities’ luxury senior apartments have loads of potential as the setting for fabulous celebrations. The gourmet kitchens in Treplus’ outsized ranch homes are perfectly designed to help you pull it together easily. Just make sure you baste often so there’s lots of gravy! Happy Thanksgiving from the Treplus family to Yours!